Dr. Stockton has advanced training in family practice, clinical nutrition, and applied kinesiology. He utilizes a whole person, natural health care approach to maximize the body’s ability to heal itself. Each person is evaluated and treated as an individual. Dr. Stockton graduated from Northwestern College of Chiropractic. He is a Diplomate in acupuncture (FIACA) and a Certified Clinical Nutritionist (CCN). 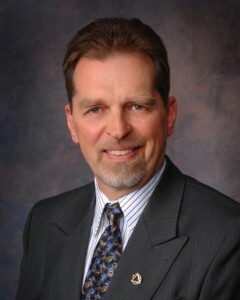 He is a Diplomate of the American Clinical Board of Nutrition (DABCN). He is a long term member of the International College of Applied Kinesiology (ICAK). He has been in private practice since 1982 and treats all patients from 1 day to 100 years of age. As an active member since 1982 of the Minnesota Chiropractic Association, he has participated at numerous levels in the organization. He was elected President of the Minnesota Chiropractic Association in 1995, and received the prestigious Chiropractor of the Year award in 1998. As a media representative for the Minnesota Chiropractic Association, he has made numerous presentations on a variety of health topics both in person and on the radio. Family support is provided by his wife, Anita and two sons, Alex and Luke.